The Law Library is open to the University community as well as the general public, except during weekends and exam periods. Although the library's regular hours are 8 a.m. – midnight daily (with extended hours during exams and an abbreviated summer and between-term schedule), the doors to the law school building are automatically locked from 6:00 p.m. to 7:00 a.m. on weekdays, and on weekends. Access during “lockdown” hours is restricted to Law School students, faculty and staff only. Lawschool Domain Account. This is used for logging into the Law School's computer network for access to the LawWeb intranet and networked printing services. Non-Law patrons may establish a Guest Login Account as described below. Library Databases, Lexis, Westlaw and Bloomberg Law. Most library subscriptions to electronic resources are restricted to users on the UVA network and do not require an individual login. Three exceptions are Lexis, Westlaw and Bloomberg Law, which are for law student and faculty use only. Non-law patrons may use LexisNexis Academic, which is available UVA-wide. Guest Wireless Account. Wireless access at the Law School is restricted to registered users. Visitors may register at the Circulation Desk for a short-term passcode. Study carrels are available on all three floors, though some may be be marked as reserved. Unreserved carrels may be used by anyone on a first come, first served basis for private study. Most library materials can be checked out by alumni and Virginia residents who have Virgo accounts. Patrons may register for a Virgo account at the Circulation Desk. Statutes, looseleaf volumes, reports, indexes, and reference materials do not circulate outside the library. Materials are subject to recall, but they can generally be renewed if not requested by another patron. Renewals may be requested in person at the Circulation Desk, by telephone (924-3384), via e-mail (circulation@law.virginia.edu) or by logging into your personal Virgo account. Student fines will be referred to the University Student Financial Services for collection as part of the university’s centralized billing system. All fines incurred by non-students must be paid at Alderman Library. Most materials may be renewed by calling the Circulation Desk (924-3384) or by logging into your Virgo account. Library vendors and book dealers must register on UVA's Procurement Services system in order to receive payment. Vendors may also choose whether or not to register on the state of Virginia's electronic purchasing system, eVA. 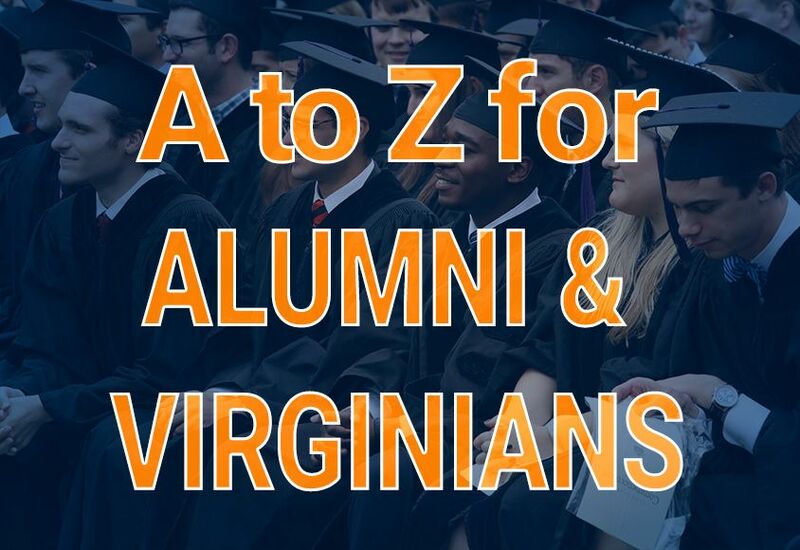 See http://www.procurement.virginia.edu/pagevendors for a complete explanation of UVA purchasing rules, registration forms, eVA fees, etc. Vendors may check the payment status of recent invoices at https://www.procurement.virginia.edu/pagevendorinvlookup. Virgo is UVA's library catalog. It is the primary resource for finding books and articles, for looking up call numbers and locations, for recalling items that are checked out, and for requesting items from the off-site Ivy Storage facility. It is also a source for linking to the electronic resources and databases covered under library subscriptions. There is an older version of Virgo called Virgo Classic which has a more traditional interface with browse search functionality. The Virgo login is your computing ID and the PIN number is usually the last 4 digits of your UVA ID number or last 4 digits of your SSN.